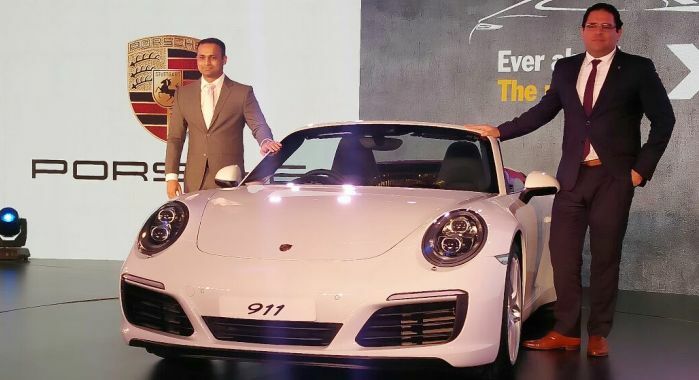 German’s high performance sports car manufacturer, Porsche has launched its updated 911 sports car range in India. Porsche calls this series as 991.2 which consists of revised 911 models like Carrera, Carrera S, Turbo, Turbo S, their respective Cabriolet versions and the Targa models. 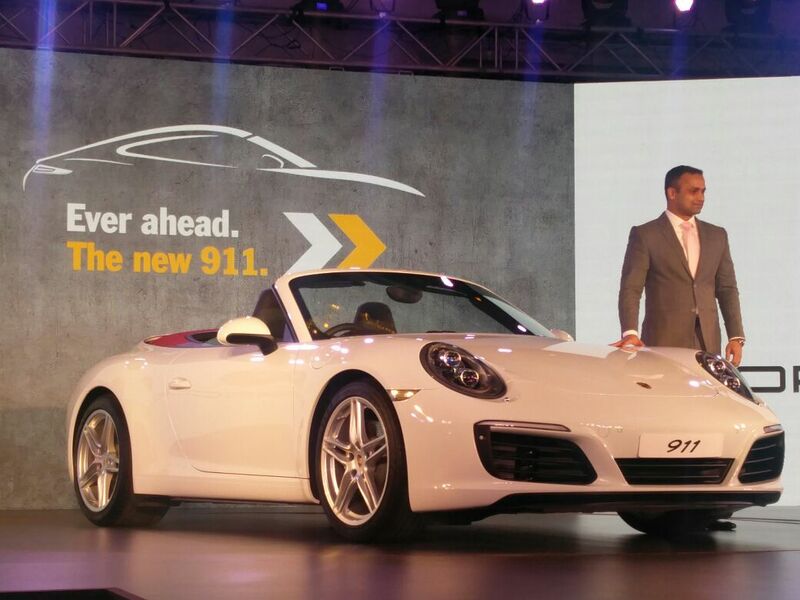 The Prices range of updated Porsche 911 car starts at Rs 1.42 crore (ex-showroom, Delhi). The updated Carrera models by Porsche are powered by new 2,981cc, twin-turbocharged flat-six engine, which, Porsche claims it as more fuel-efficient and produces less emissions than the older car’s 3.4-litre and 3.8-litre naturally aspirated units. Porsche 911 produces 370hp of power and 450Nm of torque on the Carrera. The car is tuned to churn out 420hp of power and 500Nm of torque on the more powerful Carrera S. Power is transmitted to the rear wheels via a 7-speed dual-clutch automatic transmission. The Turbo range carries over the previous car’s 3,800cc, turbocharged flat-six engine, but has been tweaked to make more power and torque. It produces 540hp and 660Nm on the standard 911 Turbo and 580hp and 700Nm on the Turbo S.
Besides the mechanical changes, the cars have received a cosmetic update as well. There are sharper-looking bumpers at the front, and you can opt for full-LED headlamps too. At the rear, there’s a new three-dimensional tail-lamp cluster that features the signature four-dot design, a new engine cover, and the rear tyres are wider by an inch. The facelift applies to all the 911 models except for the GT3, GT3 RS and R.
The interiors are equipped with a new touchscreen infotainment system and offer the option of a sports steering wheel from the 918 Spyder hybrid supercar.